Dave Chisnall produced the European Tour average record earlier on this year but came close to breaking that again this past weekend. He hit 112.73 in the Last 16 which was also the second best overall average of 2018. Michael van Gerwen as usual produced some brilliance with 111.27 in the final saving his best performance. 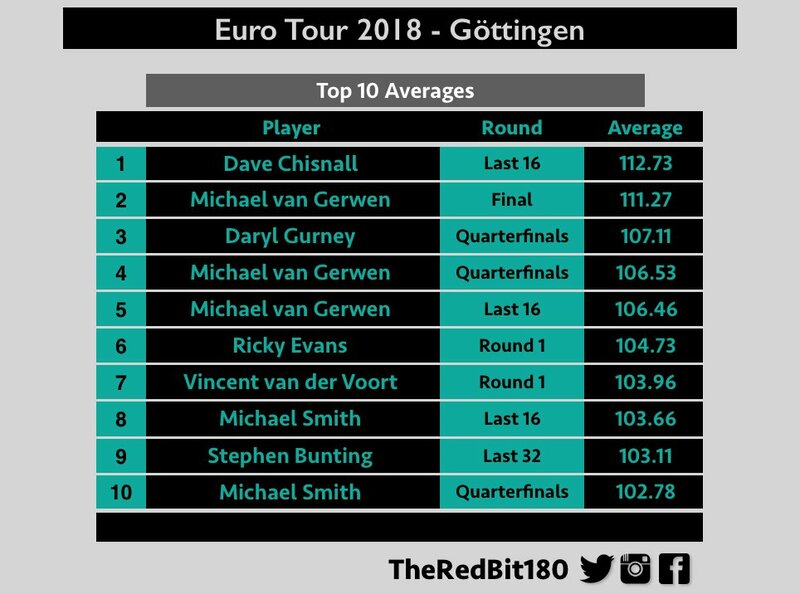 Daryl Gurney was next with 107.11 in his quarter-final where despite this average he only got two legs off ‘Mighty Mike’.